Stock market analysts have maintained 'buy' rating on Balrampur Chini Mills Ltd with an intraday target of Rs 147. According to them, interested traders can purchase the stock with a strict stop loss of Rs 142.50. If the bourses remain on the positive track, then the stock price will hit a target above Rs 151. Shares of the company, on Friday (Dec 11), closed at Rs 144.45 on the Bombay Stock Exchange (BSE). The share price has seen a 52-week high of Rs 167.30 and a low of Rs 34.25 on BSE. Current EPS & P/E ratio of the stock stood at 8.82 & 16.16 respectively. 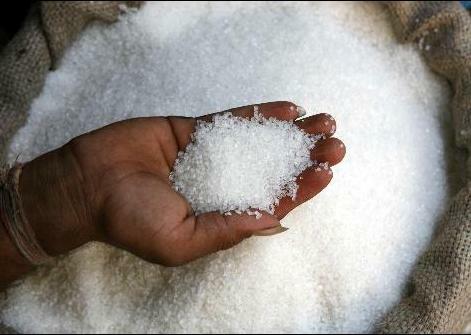 As per recent reports, Shree Renuka Sugars is making discussions to take over promoter stake in sugar producer Balrampur Chini Mills that could be approximately Rs 3100 crore comprising an open offer. The sources added that both the companies had two rounds of conferences in Kolkata and Mumbai for this purpose. Presently, Balrampur Chini's promoters' had 36.6% equity stake in the company. The sources hinted that Balrampur Chini is anticipating Rs 215 a share in addition to Rs 25 crore as non compete charge to leave the company. And Renuka has proposed Rs 175/share for taking over promoters' stake from Balrampur. The transaction would activate an open offer for extra 20% equity stake.